Does Meditation For Managers Actually Work? Modern managers should be aware that they should actively work on keeping their cool at work. Gone are the days when it was acceptable for leaders to lose their temper and yell at their staff. In today’s workplace, managers must be able to handle stressful situations in a calm and effective manner. Failure to do so can not only result in the disrespect and fear of employees, but in dismissal from your post. One effective way to control anger is to meditate. Meditation is the process of transforming one’s mind by quietly chanting and/or trying to find inner peace. This practice is highly effective in reducing stress, and has been around for thousands of years. Meditation requires a daily commitment to be effective, and it’s easy to meditate at work with these tips. For those starting out, it is beneficial to drown out all outside noise and chatter in order to meditate. For those with a private office, it is as easy as closing the door to find a quiet place to reflect. For others it may be harder, but not impossible. Consider an empty meeting room, an outside patio, or even a bathroom stall (if absolutely necessary). Even the smallest of places that separates you from your colleagues, and allows you a few moments to connect with your inner self, is enough to meditate. It is beneficial to create a ritual to meditating, if only to remind yourself to do it. Although you only need as little as 10 to 15 minutes, the more time you dedicate, the more effective the practice is. Consider setting aside a portion of your lunch break, or even getting to work 15 minutes before anyone else. Regardless of when and where you do it, meditating will help you control your anger and upkeep your professional demeanor. Many people are not believers in meditation; although it seems incredibly easy to do, individuals report meditating for months without realising any benefits. This is because meditation is a skill that needs to be learned in order to reap its rewards. The good news is that there are a multitude of books, websites, clubs and even individual trainers that can help beginners learn the proper skills of meditation. Guided meditation, listening to a track that has relaxing sounds while trying to quiet your mind and body and reach inner peace, can be most beneficial to beginners. Many people believe that meditation requires a personal and silent place. However, meditation is a state of mind not bound to a physical location. anyone can meditate anywhere, while sitting in their office, taking a walk or even waiting for a meeting to start. Although beginners should likely practice in a quiet place, those that are more experienced can learn to drown out all the outside noise and only concentrate on the inner workings of their mind. Meditation has been proven over and over to work for reducing stress. 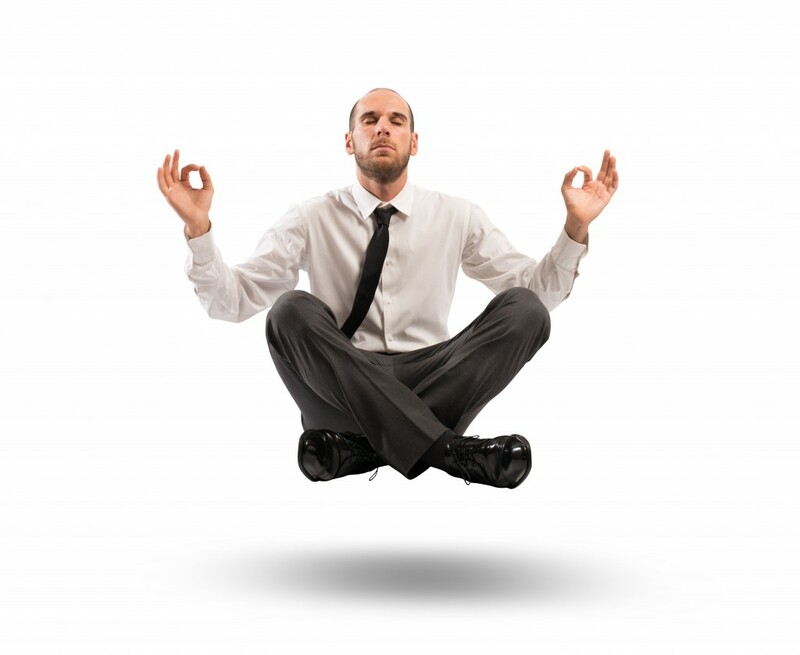 Use the three tips above to start meditating at work today.